Alnwick Wedding Cars Ltd are an established, family run company based in Alnwick and offer a bespoke and quality service. Our highly experienced, uniformed drivers are expert at delivering a flawless service. Your dream wedding can be enhanced by the addition of the perfect classic cars to help make your day really special. Travel in style in our white Rolls Royce Shadow from the 70's, our white Bentley from the 80's or one of our ebony and ivory Daimler limousines from the 80's. All come with leather upholstery and polished wood features for that luxurious journey! When you have been looking for Daimler Wedding Cars in the area, contact the experienced experts at Alnwick Wedding Cars. Get in touch to arrange to view the cars at our storage unit in Alnwick, have a seat in them and find out which car or cars would be best for your special day. 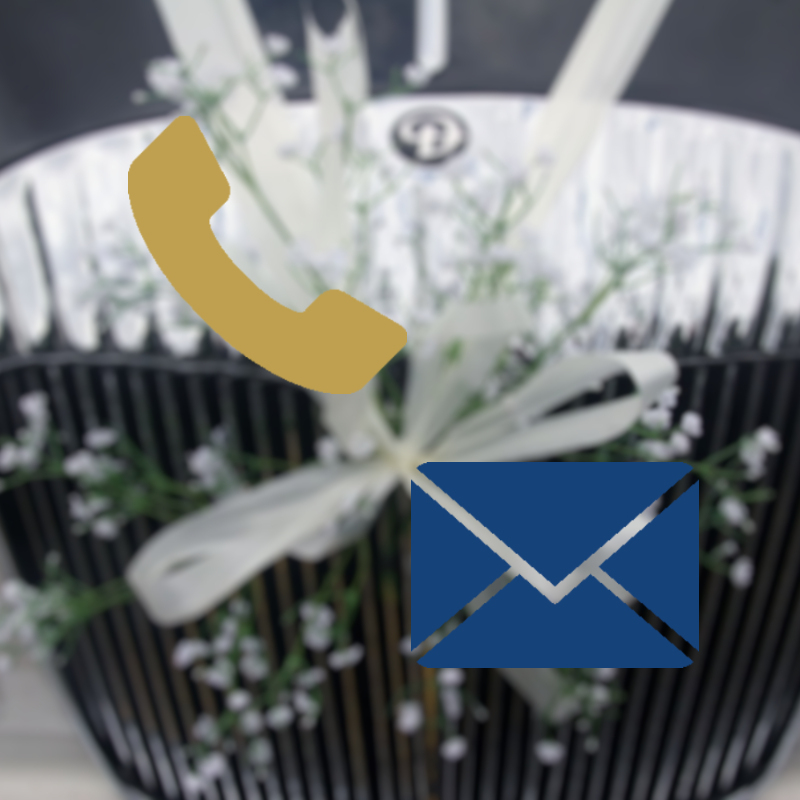 We cover and many of the surrounding locations for Daimler Wedding Cars, we will work around you and your individual requirements, so call now for Daimler Wedding Cars in the area. Get in touch to arrange to view the cars at our storage unit in Alnwick, have a seat in them and find out which car or cars would be best for your special day. You can have all your questions answered at the same time. Alnwick Wedding Cars Ltd can provide you with the perfect car for your perfect day, please also have a look at some other useful links. If you have any questions or would like to make an appointment to view our vehicles at our storage unit please do not hesitate to Contact Us on 0800 002 9622 or Email Us at alnwickweddingcars@gmail.com.